With emancipation occuring during the war the inevitable issue of whether slaves or freed slaves would be given arms and used as soldiers was addressed. 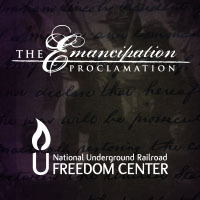 This category attempts to provide information about the way in which African Americans were used by the Union and the Confederacy, as well as reveal the way in which they were treated by both armies. Undoubtedly African Americans played a significant role in the Civil War. Indeed, the casualty figures reveal a disproportionate suffering in comparison to other groups of soldiers. Many would succumb to disease as a result of unsanitary camp conditions before wars end.